Starting and running your own business is one of the most common dreams that people share, yet many are destined for failure due to poor planning and a poor understanding of the processes involved in running a business. 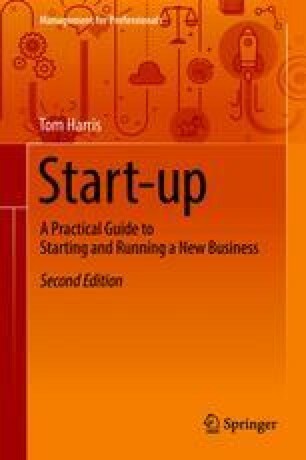 This book has been written to provide you with a user guide for your new business. We will start right at the beginning by analysing the business idea you are hoping to realise in order to make sure that it is built on solid foundations. We will then look at the legal aspects of protecting your ideas, incorporating your company and the responsibilities that go with it. We will look at financing, cash flow and what investors look for in a business. We will build financial models and business plans and finally look at developing the entrepreneurial skills that will help you achieve your goals.